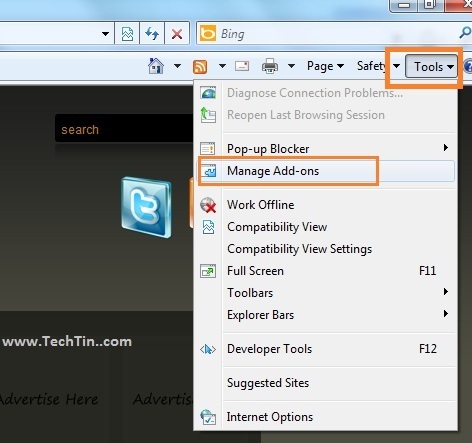 Many third party addons get automatically installed and enabled in Internet Explorer browser. You even don’t know when these addons gets installed. 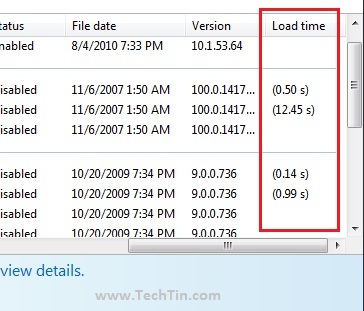 Like when you install HP software, it will also install few IE addons like “HP Printer Enhancer”. These are actually unnecessary addons which we will probable never use. The dark side of these unnecessary addons are that they will slow down IE launch / start-up / load time. All addons installed and enabled in IE also load with IE every time you launch IE. And thus it increase the loading time of IE. So, it is strongly suggested to disable all unnecessary IE add-ons. Here is how you can see the list of add-ons installed, their load time, and how you can disable / enable any add-ons. Now you can see list of all add-ons installed and their load time. If you want to enable any add-on, right click the add-on and select Enable to enable that add-on. what about making a list of the unecessary add-ons? 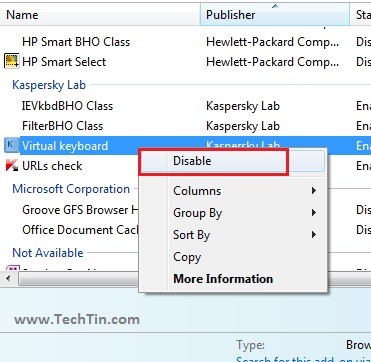 How to disable everyine knows and you can find thousands of ifo about that on google. What i’ve been looking for and ca’t find is a LIST of the unecessary ones.